With a week left before the official unveiling at the Geneva, we have new real life photos of the top 5 Series model, the 550i. 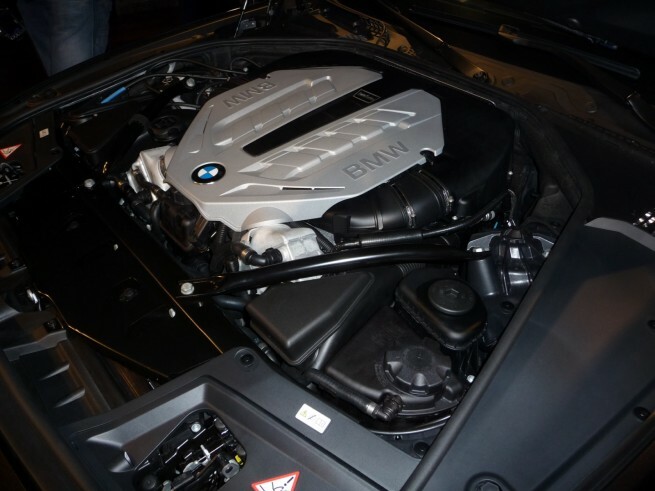 The top-of-the-range BMW 550i arrives with BMW’s “reverse-flow” V-8 engine featuring twin turbochargers and High Precision direct injection for maximum output of 400 hp. BMW plan to give 8-speed transmissions to all of the 5 Series line-up. The 8-speed as used in the existing 750Li and 550i GT makes for a strong transmission allowing the driver to experience all-round improved fuel efficiency with higher gearing while also allowing for better acceleration. The two taller gears in the 8-speed are ideal for cruising speeds and BMW has managed to improve the weight savings of the transmission to such a point that there is no additional weight added from the extra two gears. For those wanting to extract and put down power manually, a 6-speed gearbox will be available in the U.S. market for the bigger 535i and 550i. Design wise, the 550i will differentiate itself at the rear-end by the two trapezoidal exhaust tips, as seen in the new 7 Series as well. Different wheels options will also be available for the new 550i. 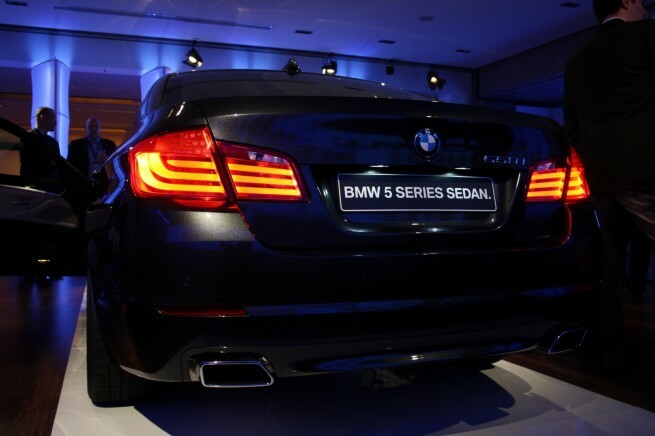 Even though no official confirmation has been released on the U.S. pricing, sources around the company mention a no price increase over the E60 model.